TMZ has released footage from a February incident at a Cleveland hotel involving Chiefs running back Kareem Hunt and his entourage. In the video, Hunt is seen shoving and kicking a woman during the altercation. 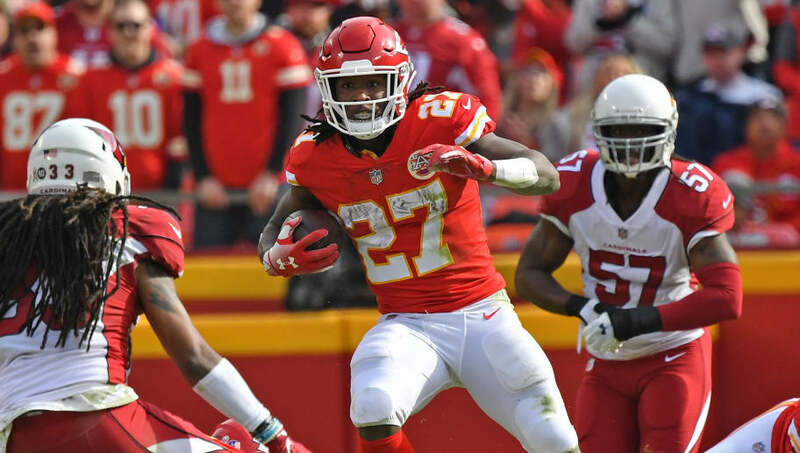 The incident, which occurred almost a year ago, was already under investigation by the NFL.
.@TMZ_Sports has obtained the video of Chiefs running back Kareem Hunt shoving, bull-rushing and kicking a woman in a Cleveland hotel last February. With this video footage showing exactly what occurred that night, Hunt's status with the Chiefs and the NFL is likely now in question. This leaves Spencer Ware as the likely lead back in Kansas City for at least the foreseeable future, or until Hunt's fate is decided. Ware is an immediate must-add in all fantasy leagues given he is now slotted to be the lead running back in one of the most prolific offenses of all time. Ware has shown flashes of greatness over the past few seasons, but was never given the reigns full-time due to the presence of Jamaal Charles and more-recently Hunt. ​Ware has every reason to build upon the success that Hunt has had so far this season. It's a tough and unfortunate pill to swallow for the Chiefs and Hunt fantasy owners, but Ware could be an unexpected gift just in time for the fantasy playoffs.